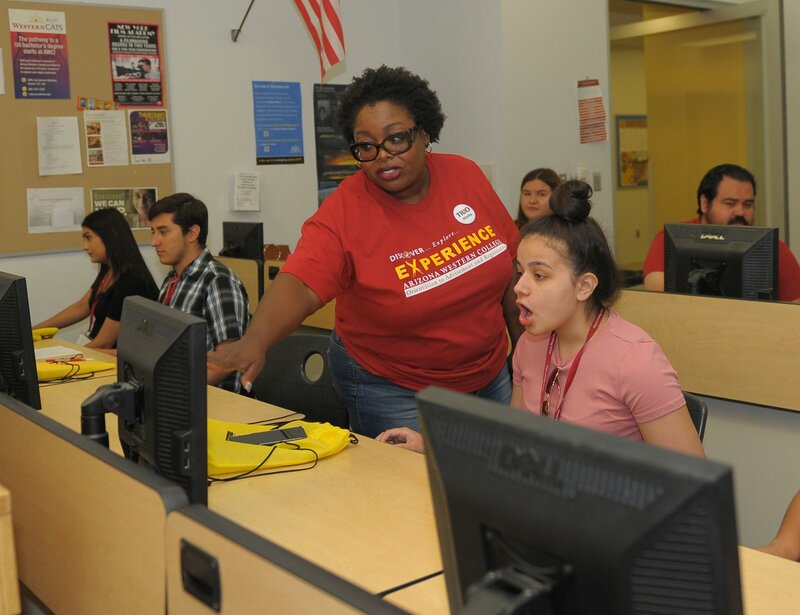 Arizona Western College Director of TRIO Programs Michelle Thomas was elected to serve as the new 2018-2019 president for the Western Association of Educational Opportunity Personnel (WESTOP). WESTOP is one of ten regional associations dedicated to furthering educational opportunities for low income, first-generation and disabled students. As president of WESTOP, Thomas presides over six chapters in Arizona, Central California, Nevada, Northern California, Pacific Islands, and Southern California. “Even though I’m representing our whole region, I bring the perspective of Arizona and our smaller rural communities to the table, because that’s who I am and that’s where I am from. I’m thankful for this opportunity to be a voice for our TRIO programs at the regional and national level,” said Thomas. Association members are provided a variety of opportunities to network and develop professionally on an annual basis through chapter meetings, professional development seminars and conferences. WESTOP also advocates for continued financial and legislative support at the federal, state and local levels for educational programs that work with economically and educationally disadvantaged students. Additionally, they monitor local, state and federal regulations, policies and procedures affecting educational opportunities and engage in research and evaluation that will enhance the effectiveness of their programs. Part of Thomas’s leadership responsibilities include planning WESTOP’s regional conference and visiting the six chapters throughout the region when they hold their professional development seminars. Her role as WESTOP president also places her on the board of directors for the Council of Opportunity in Education where she has the opportunity to attend their board meetings and conferences as well as advocate for TRIO programs in Washington, D.C. during an annual policy seminar and visit with congressional leaders. TRIO is a set of federally funded college opportunity programs that motivate and support students from disadvantaged backgrounds in their pursuit of a college degree. More than 812,000 low-income, first-generation students and students with disabilities — from sixth grade through college graduation — are served by more than 3,100 programs nationally. TRIO programs provide academic tutoring, personal counseling, mentoring, financial guidance and other supports necessary for educational access and retention.